Huawei owned Honor, which is said to be the first online brand by the company is now all set to launch the latest smartphone in India. The all-new smartphone from the company is said to be Honor 8X. The new smartphone Honor 8X is said to be the successor to the Honor 7X. The smartphone is believed to get a price tag of about Rs 20,000. The company is going to hold a launch event in New Delhi today. The company claims that this smartphone will be offering a phablet like experience to all the users which will be in a small form factor. The company has already revealed some details about the smartphone in the statement. The phone will be powered by the in-house Kirin 710 Octa-Core processor that is clocked at 2.2 GHz. This chip will be used for the very first time in India as it was not used in any other smartphone. It has got a 12nm based chipset which features Cortex 72 generation. Honor 8X will be coming with Mali G51 MP4 along with GPU technology. The smartphone will be getting a 6.5-inch Full HD+ display with a screen resolution of 1080 X 2340 pixels. The phone has got an aspect ratio of about 19.5:9 which shows that the notch will be there. The phone will get the glass back. When it comes to the camera department, the smartphone will be having the dual camera set up at the back. The phone will be getting a 20MP primary sensor with the 2MP secondary sensor. The selfie camera of the Honor 8X will be getting a 16 MP primary sensor. The phone will be coming with the features like artificial intelligence that can able to enhance the experience. The phone will be running on Android 8.1 Oreo-based on EMUI 8.2. This EMUI 8.2 is said to be the heavy skin UI. The phone will be getting a battery capacity of about 3750 mAh which will support fast charging. It will also support 4G VoLTE, dual-band Wi-Fi with a micro USB port, Bluetooth and a headphone jack. 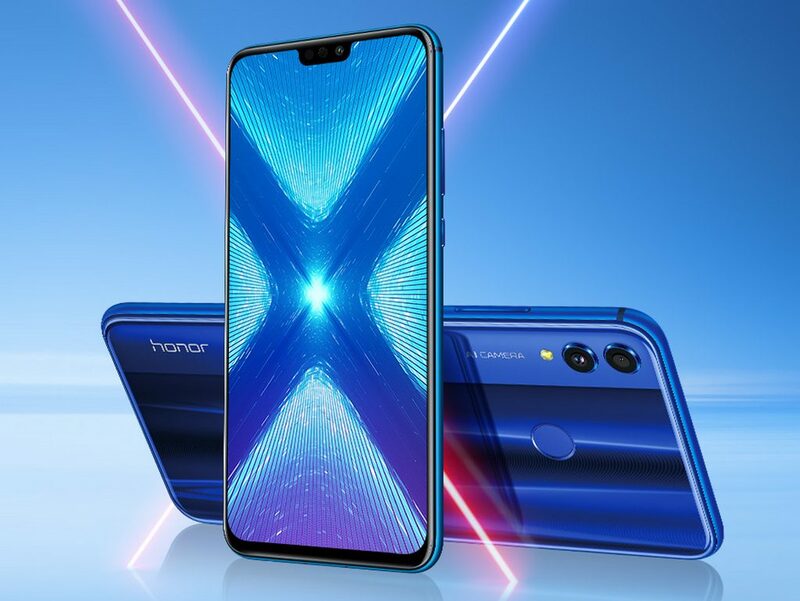 It has been said from the company that the Honor will be live streaming the launch of the Honor 8X. The live stream will be available in the official YouTube channel of the company. The live stream of this event will be from New Delhi from 11:30 AM.